Silk is a filament secreted by the silkworm when spinning its cocoon, and the name for the threads, yarns and fabrics named from the filament. 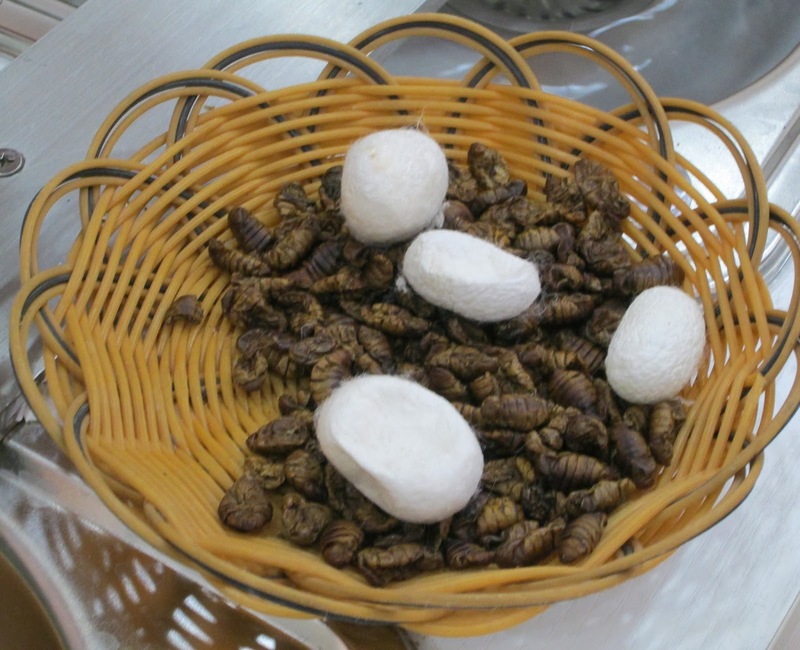 Most commercial silk is produced by the cultivated silkworm, Bombyx mori. 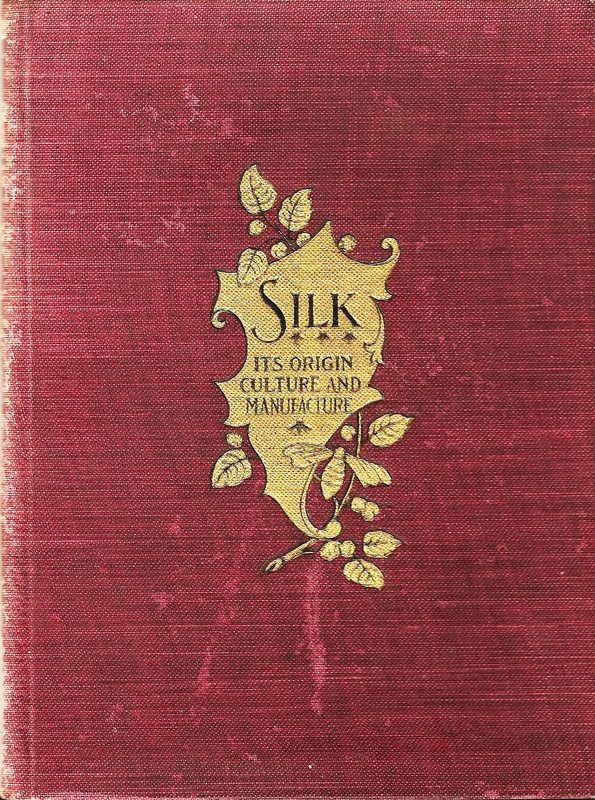 The secret of silk production was a closely guarded Chinese secret. The penalty of revealing this secret was punishment by death. 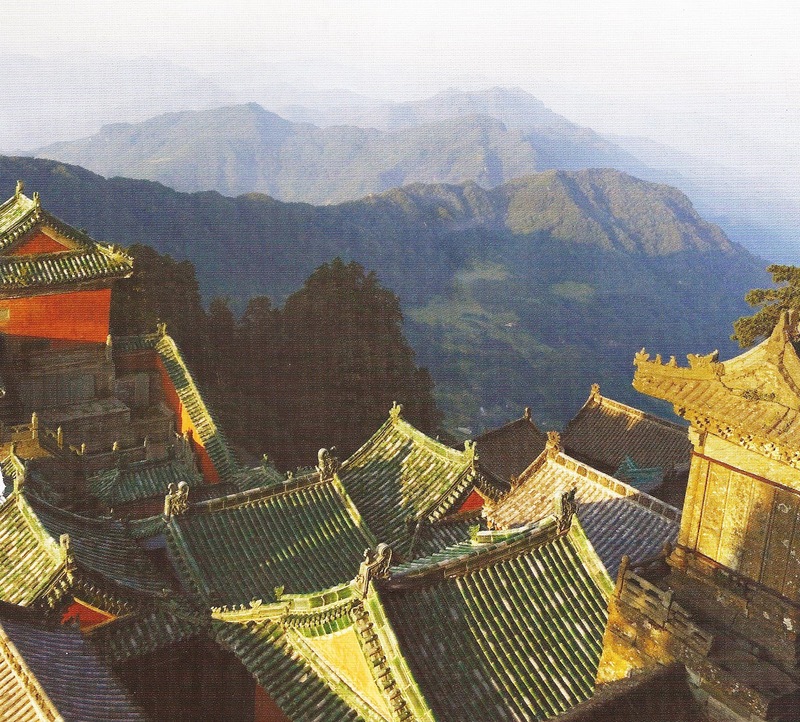 Inevitably, the secret was too valuable and there are several versions in folklore, which describe the lengths smugglers would go to steal the secret from China to sell it to the West One tells of monks hiding cocoons in their walking sticks!! Bombyx mori feeds exclusively on the leaves of various mulberry trees and spins a thin, white filament. There are several varities of wild silkworms which feed on oak, cherry and mulberry leaves, but their filament is brown and coarse and 3 times the thickness of the cultivated. Carefully selected moths lay 500-700 eggs apiece. One ounce of silkworms requires nine tons of mulberry leaves to reach maturity, their cocoons will produce 12 pounds of silk. Eggs take 14 days to mature into larvae. 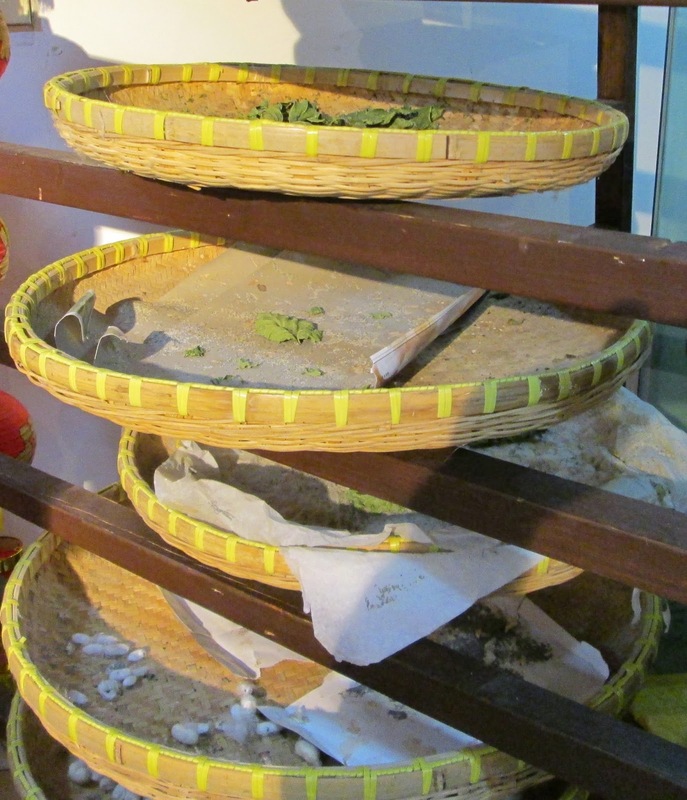 The larvae are raised on trays kept in a temperature-controlled, clean environment and are fed every 2-3 hours. Fully grown in approximately 5 weeks, they are 70 times their original size. Their rear silk glands produce an animal protein called fibron which is activated and sent to silk producing glands. 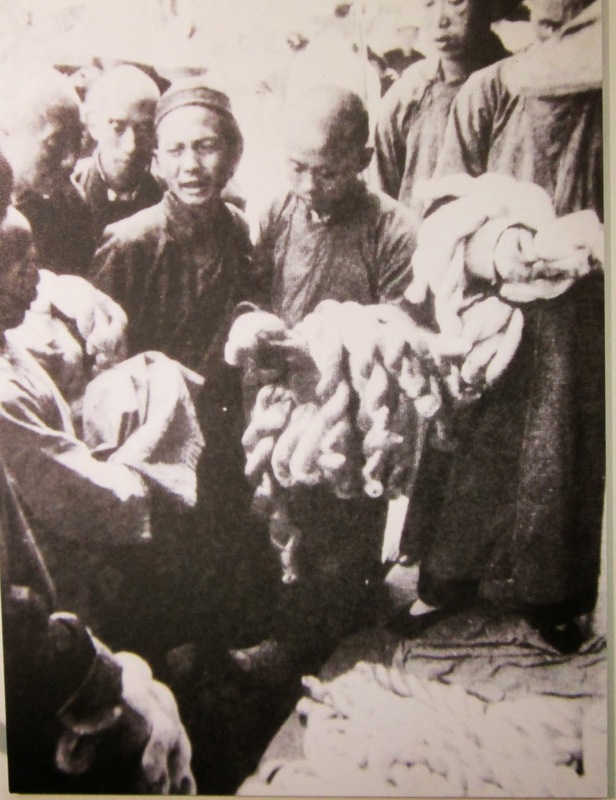 The silkworms are placed on a bed and enter the pupa stage, enclosing themselves in a silk filament in an endless series of figure-eights (300,000 times) 1 ½ miles in length. 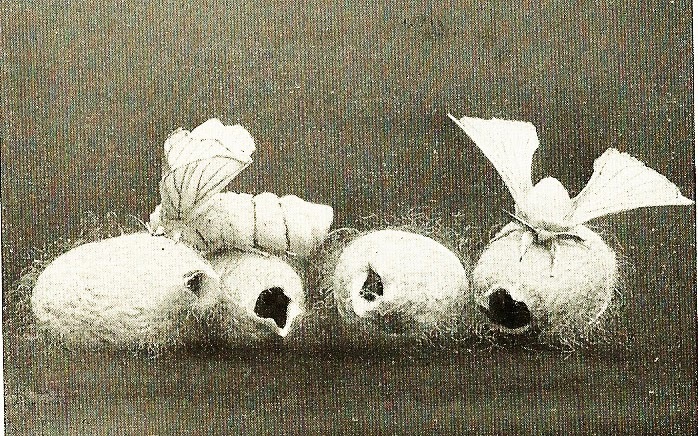 Intact cocoons. Dead pupa taken from cocoons prior to reeling. Fear not, these are an excellent source of protein and are use in the cosmetic industry. After drying the cocoon are inspected and graded and sent to a filature (factory) for reeling..Today, automated reeling machines are equipped with sensors, allowing for immediate replacement of empty cocoons or broken filaments. The silk filament is made stronger for weaving by plying, called throwing, increasing the twist or adding more strands together. 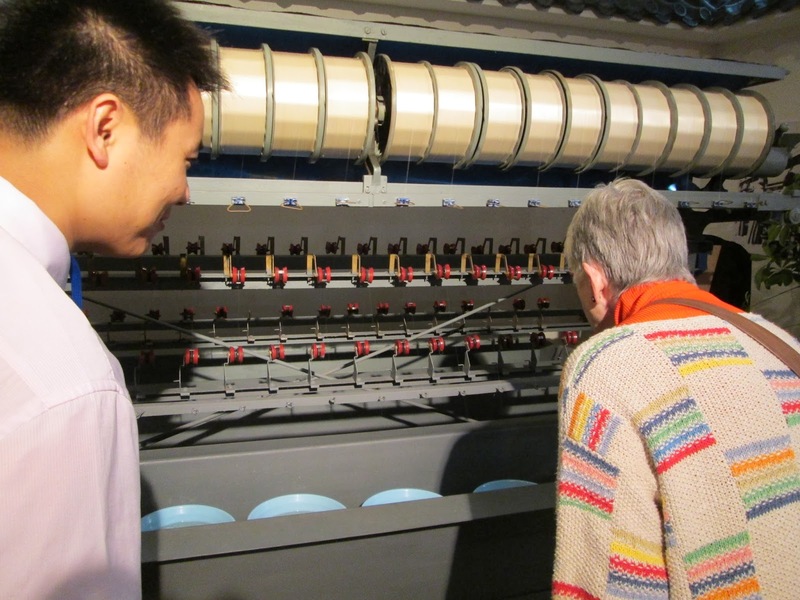 Skeins of silk are formed into bundles (29) and collected into bales (132#), the amount raw silk is traded for export.